The mittens are made from felted wool or cashmere sweaters, which have been washed and dried before making the mittens. Fleece is used for the inside to help keep your hands warm and cozy without the itchiness that comes from wearing wool. Our inventory also includes mittens for children in wool, cashmere and fleece. Adult fleece mittens are now available in multiple colors as well. Prices for the fleece mittens start at $20 a pair. All the fleece mittens - adults as well as the kids are all fleece lined as well for double warmth! 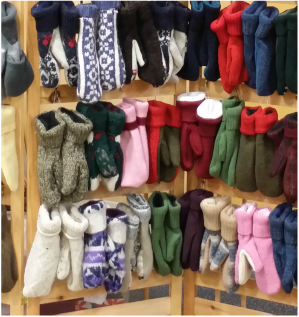 We have ten mitten sizes: Five for the adult mittens and five for the kids. The bed socks are also made from recycled sweaters. We use wool, cotton, acrylic or a combination thereof and they are lined with a ribbed knit fabric. Sizes range from small to large. A women's size six (6) to a man's size eleven (11). 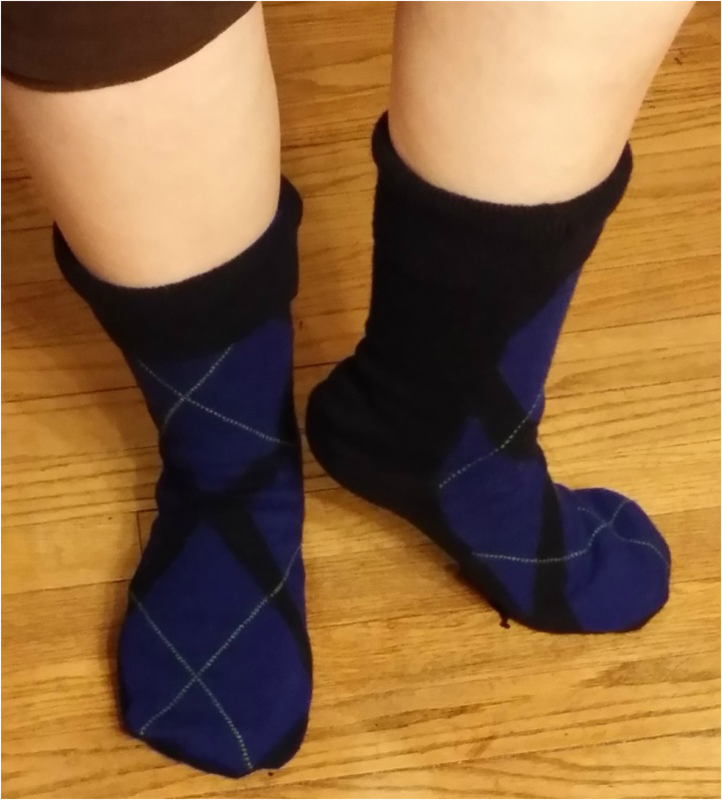 The bed socks are $25 a pair. Mittens and bed socks: Wash in cold water on gentle cycle - lay flat or hang to dry. Putting them in warm or hot water may cause additional shrinkage as could the dryer. Although the wool sweaters have been felted prior to being cut up for mittens, we make no guarantee that they will not shrink again if subjected to warm water or the heat of a dryer. New for 2018 we are adding jewelry! Check out our Jewelry tab to see a small sampling.